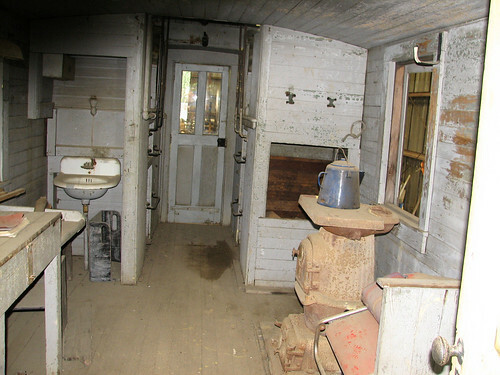 This is almost certainly Caboose #04 from the California Western Railroad. Obviously, this caboose has not yet been restored. It was probably built at Fort Bragg between 1910 and 1930. More info here.